Falconry UK is Thirsk’s Bird of Prey and Conservation Centre. Here are some photos I took whilst visiting their stand at the Hawes Gala recently. I was there performing Punch and Judy but luckily I had time to go over and take a look. Birds of Prey make popular entertainment. Falconry UK can be contacted on Tel 01845 587522 for information about displays and events etc. 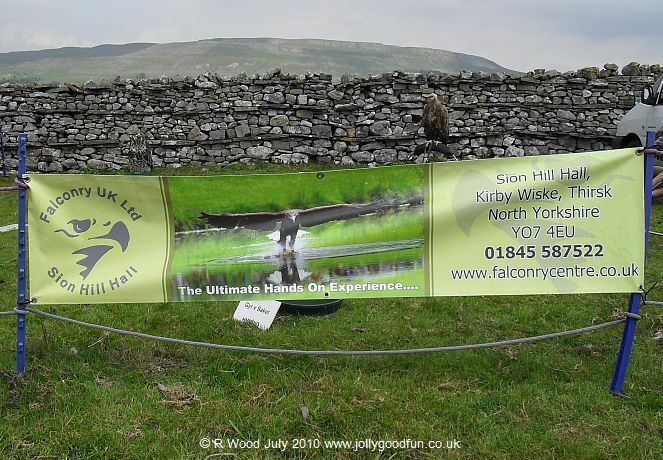 This entry was posted in Entertainment and tagged Entertainment, Falconry UK, Hawes Gala, Punch and Judy on July 17, 2010 by ronwooduk.